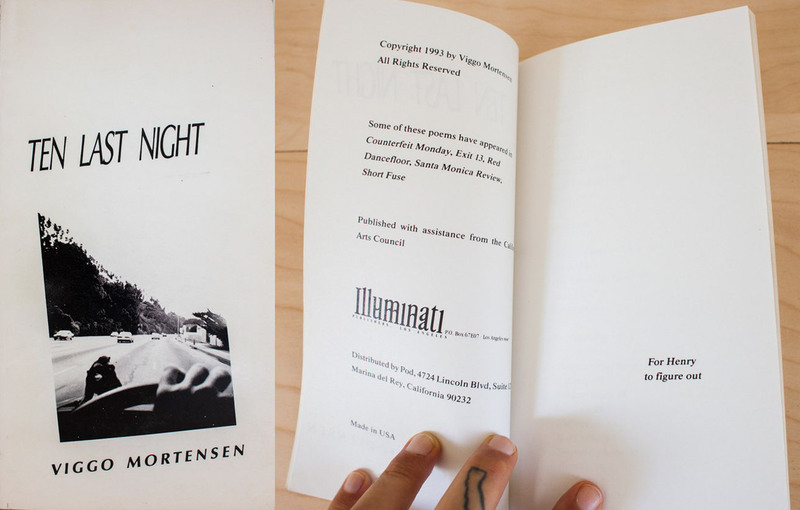 An individual recently bought out the stock of Illuminati Press, the publisher of Viggo Mortensen’s first book Ten Last Night. He is offering for sale on eBay the original manuscript, the proof/galley (loosely bound), alternate covers, and correspondences between Viggo Mortensen and his publisher. Many items are personally signed, annotated or decorated by Viggo. The sale ends October 30, 2007.